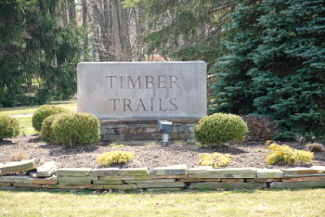 Timber Trails of Solon is a small subdivision that is tucked away and private. It is located near Signature Country Club with easy access to Solon's top rated schools. While there are only 39 homes located here, it is a very popular neighborhood. Homes in Timber Trials were built in the mid 1990's and have open floor plans and modern amenities. While it is not considered a luxury home development like Signature or Thornbury, the homes here have a lot of the same features, but are more affordable. There are sidewalks located throughout Timber Trails, making it ideal for biking, jogging, and walking your dog. It is a very pretty development and worth a look if you are thinking of buying in Solon.